“IronMen of God” (www.IronMenofGod.com) a Windermere, FL based Christian men’s group is proud to sponsor and present “Life Without Limbs” featuring Nick Vujicic at West Orange High School. Nick Vujicic, world renowned motivational speaker, bestselling author, and President of Life Without Limbs (LWL), will be addressing the student body of 4,000 students at West Orange High School in Winter Garden on Wednesday, January 21st at 9:20 AM as part of LWL’s national anti-bullying and suicide prevention campaign - Stand Strong. Nick and LWL have experienced unexpected world impact with his motivational messages and sharing the Good News of Jesus Christ. Over 400 million YouTube hits, 1500 different YouTube videos. 915,450 YouTube video views in 2014. Over 5.6 million Facebook fans (01/09/15). 3,118,770 new Facebook likes in 2014. Over 5 million people hearing Nick’s messages in face-to-face venues in 56 countries in the last eight years. In 2013 Nick shared his Gospel messages in 24 nations, reaching over 400 million people via TV and radio, speaking face to face to over 400,000. 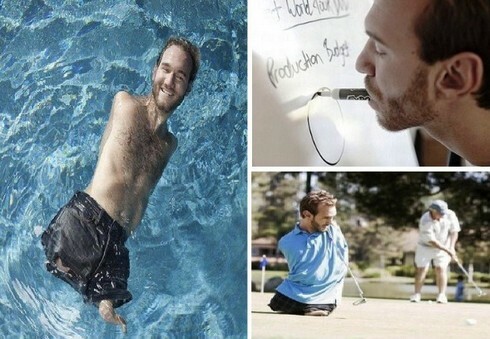 Life Without Limbs’ (LWL) founder Nick Vujicic was born in 1982 in Melbourne, Australia. Without explanation or warning, Nick was born with neither arms nor legs. The challenges Nick faced as a boy and teenager molded him into a person with extraordinary faith, a zest for life and a deep desire to see others in their difficulties find hope and a future. 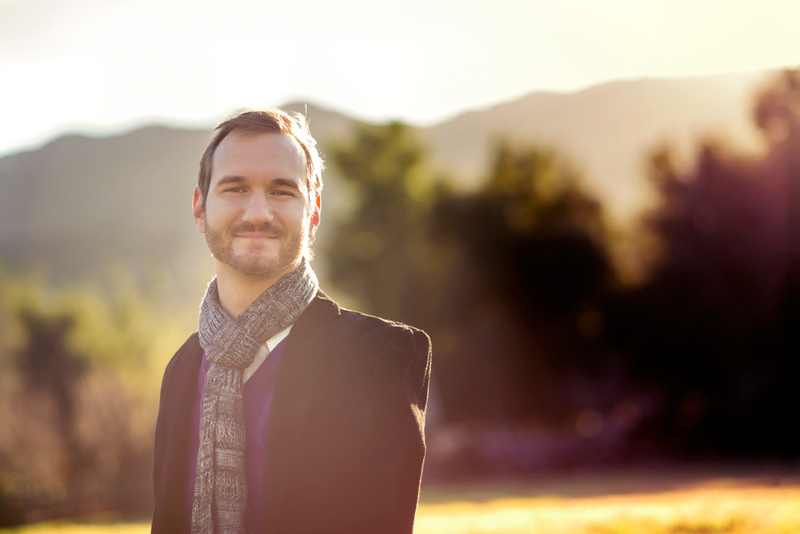 Vujicic has become one of the world’s most recognized people in addressing the issues of bullying and suicide, tailoring his impactful messages for public schools as well as religious schools. His recent book Stand Strong Nick’s includes a powerful anti-bullying call to action. Nick gives students strategies for developing a “Bully Defense System,” so that victims can handle bullies by building their strength from the inside out. He empowers witnesses of bullying to stand with victims against bullies, so no one has to stand alone. To reinforce his anti-bullying and suicide prevention messages two curriculums are nearing completion, one for public schools and one for faith based schools, provided free of charge to all participating educational institutions. The event at West Orange High School is a precursor to a Florida statewide Stand Strong campaign to be held live and live stream in Central and South Florida in November 2015. Stand Strong events, such as the one planned for November, involve Nick sharing his anti-bullying message and suicide prevention message at public and faith based schools, a day of community service in the host community in partnership with churches and secular and religious non-profits to call attention to and assist local efforts for at-risk young people and at-risk military veterans. Bullies are challenged to stand up in front of their peers to renounce bullying. The results are astounding as entire student bodies, staff and administrators erupt in spontaneous applause as a minimum of forty bullies stand up in each public school assembly. Sometimes entire student bodies stand in unison to stand against bullying. In Indiana at the invitation of Governor Mike Pence and State Superintendent of Public Instruction Glenda Ritz, one a republican and the other a democrat, Nick spoke live and livestream to 280 schools and 325,000 public students. In Boise the Saturday evening outreach was held at the Idaho Center where 8,000 people were in attendance. Internationally Nick has spoken face to face to crowds exceeding 100,000. Nick began speaking at youth meetings throughout Australia at age 19. God’s gifting to Nick as an evangelist and motivational speaker was undeniable. Sensing a worldwide calling, in 2005 Nick and some Southern California businessmen and clergy established Life Without Limbs, a 501 c 3 non-profit. Over the next seven years Nick would go on to present the gospel and this anti-bullying message across the U.S. and in 46 other countries to over 500 million via television and at stadiums, arenas, universities and private and public schools. With his secular motivational messages and faith based Gospel messages Nick has incredible crossover appeal to people of all ages, genders, color and economic status, reaching across all cultural, political and social boundaries.